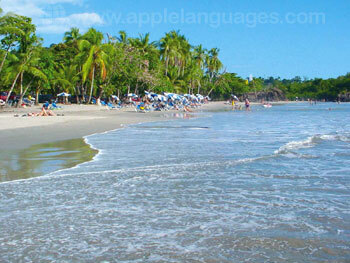 Learn Spanish in Manuel Antonio, a stunning national park on Costa Rica’s beautiful Pacific coast where the mountains meet the ocean! 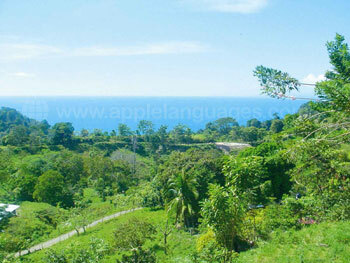 Home to a vast range of flora and fauna, this rainforest and beach location is perfect for nature lovers who wish to combine their Spanish language course with plenty of time spent outdoors! Made famous by the film Jurassic Park, Manuel Antonio has some of the most spectacular white, sandy beaches on the Pacific coast, and is perfect for snorkelling and swimming! The park is also excellent for both short walks and full-day hikes, and our school can help you arrange some fantastic adventure tours, as in mangrove kayaking, white water rafting and canopy tours! During your time in Manuel Antonio national park, you can certainly expect to see a huge range of wildlife, as the rainforest is home to howler, squirrel and white-faced monkeys, two-toed sloths, coatimundis, raccoons and iguanas, amongst many, many others! 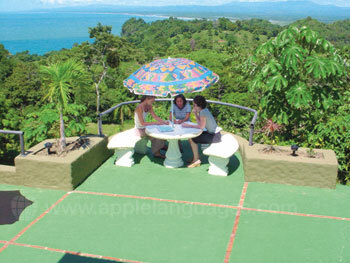 Our Spanish language school in Manuel Antonio offer fantastic views of the ocean, and is located just 2 miles from the white, sandy beach! 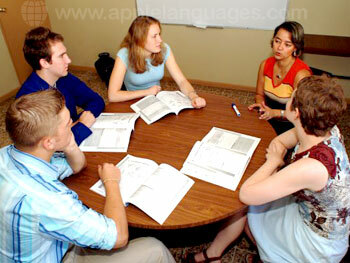 All teachers are highly qualified, native speakers who are very experienced in teaching Spanish as a foreign language to students of all levels (from complete beginner to advanced). Group sizes are kept small, with a maximum of eight students per class, to ensure that you receive the individual attention you require to make as much progress as possible during your course. 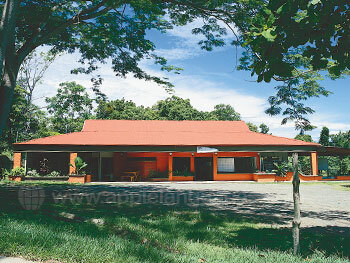 The school is comprised of 13 open-air classrooms, where you can learn Spanish in the beautiful Costa-Rican sunshine, and 2 enclosed air-conditioned classrooms. You will also find a terrace, student common area, computer lab and snack bar. 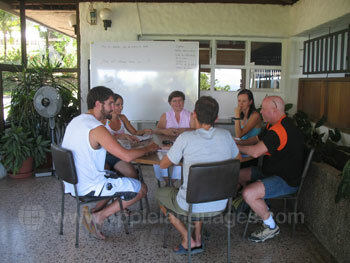 If you wish to improve your overall level of Spanish, we recommend opting for the Intensive course at our school in Manuel Antonio. This course consists of 20 group Spanish lessons, which take place in the mornings (from 9:00am until 1:00pm) or in the afternoons (from 2:00pm until 6:00pm). Classes are kept small, with an average of 4-5 students in each class (max. 8 during high season), allowing for a more personalised learning approach. Alternatively, if there are specific areas of the language that you wish to focus on, you may want to consider either a course of private lessons, or the ‘Combined’ course of 20 group lessons plus 10 private lessons per week. Our school in Manuel Antonio also offers students the opportunity to combine a period of volunteer work with their Spanish course! Projects include animal care, construction, environment and conservation, working with kids and more! 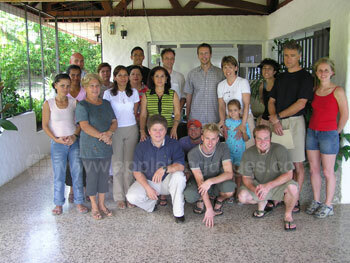 Please contact us for more information about volunteer projects in Manuel Antonio. Accommodation is offered in carefully-selected host families on a half-board basis, giving you the perfect opportunity to practice your Spanish skills with native speakers on an everyday basis! 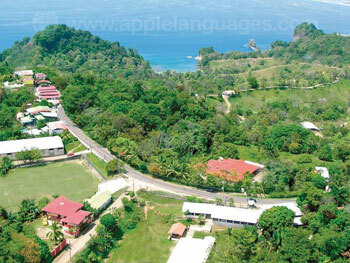 All host families live in a town called Quepos, located right next to Manuel Antonio beach and approximately 2.5 miles from the school. In Quepos, you will have many shops, bars and restaurants within easy reach, as well as an open-air market every Saturday! 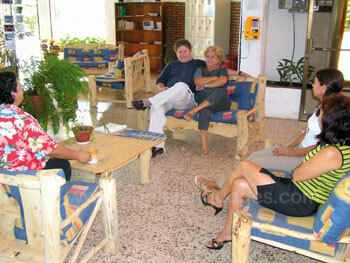 The school is easily accessible by bus from Quepos, which you can catch from the central bus station. Dance lessons, museum visits, dolphin watching, horseback riding, scuba diving, body-boarding, hiking, zip-lining and many more! Our school in Manuel Antonio have a student travel advisor on site, who will be happy to help with any arrangements you wish to make during your free time. 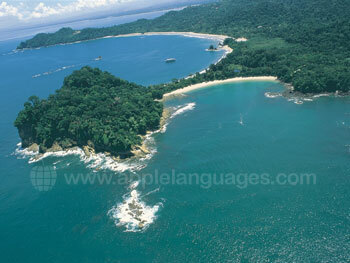 Most students fly to San Jose Airport, and then take a bus from San Jose to Manuel Antonio. Buses leave San Jose for Manuel Antonio three times a day, usually in the morning, at lunchtime, and in the evening. The bus journey takes 3.5 hours. It may be necessary to arrive in San Jose on the Saturday before your course starts, and then to travel on to Manuel Antonio on the Sunday. 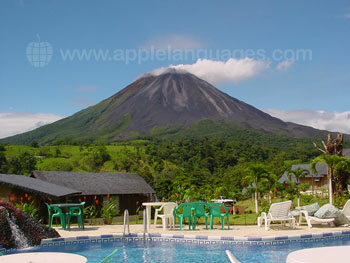 In this case, our school in Manuel Antonio can arrange accommodation in San Jose for the Saturday night, as well as your transport to Manuel Antonio on the Sunday. Please contact us for details. 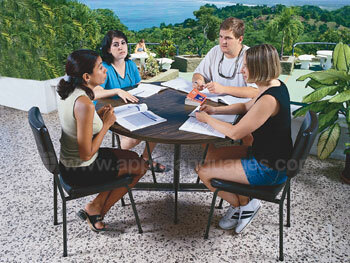 Average score for our school in Manuel Antonio based on 4 previous client reviews. 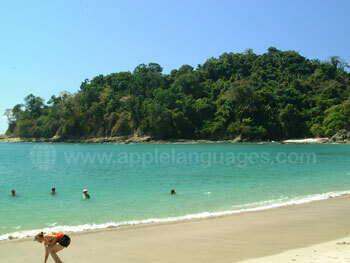 I really enjoyed my experience in Manuel Antonio. I was first greeted from a representative from the school upon leaving the airport in San Jose. He shuttled me to the bus station and even helped buy my ticket. 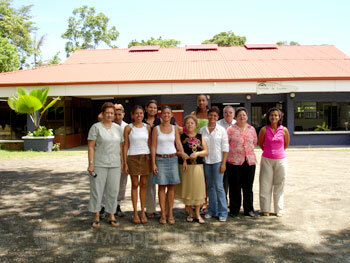 The staff at the school was very helpful and welcoming. They helped in scheduling extracurricular activities and answered any of my questions. My instructor was very well organized and every day she pushed us to learn! She also took a lot of time just getting our class to engage in conversation. 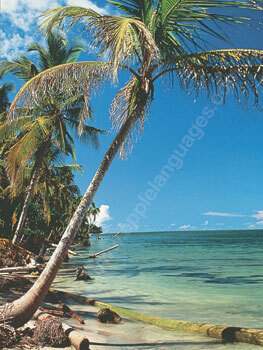 There is plenty of time after class or the weekends to hang out at the beach or do one of the many excursions offered. When my bus arrived in Quepos, my host mother was there to greet me. She went above and beyond to help me get acclimated and show me how to negotiate the bus schedule. I really felt at home and her cooking was delicious! It was a great way to get to know the culture. The wildlife is unique and every were I went , the guides were very knowledgeable. 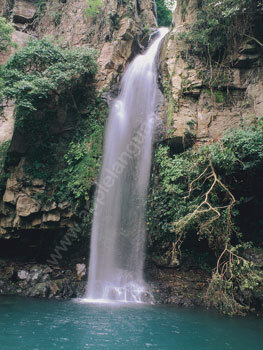 If you are into extreme sports there is plenty of things to do. The people I encountered in Costa Rica are very nice and laid back. 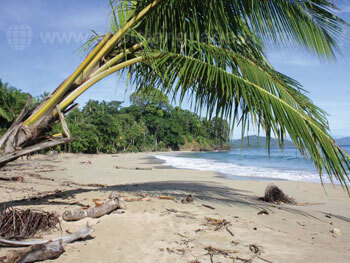 The “Pura Vida” lifestyle is true! I especially like that they are very environmentally conscience. I hope that this way of life continues for many years to come. I would recommend this school and place as a destination to anyone interested in meeting new people, learning a new language or gaining new insights.